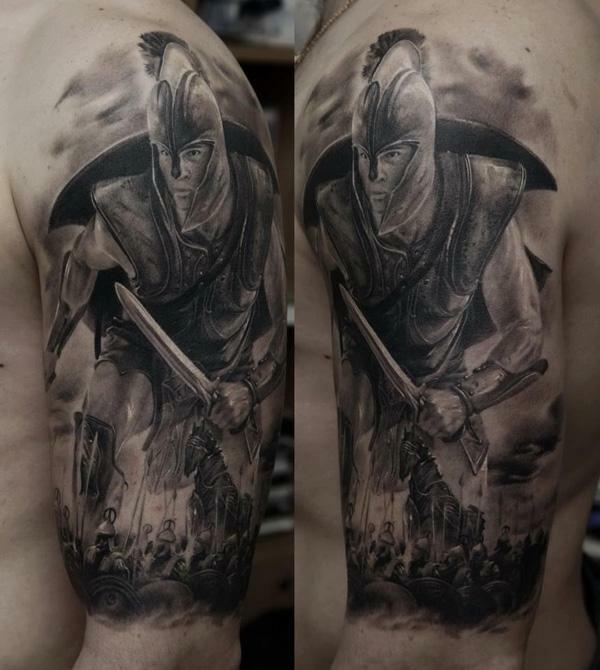 Warrior is an ancient profession to fight in combat or warfare, which appears in many of different cultures. 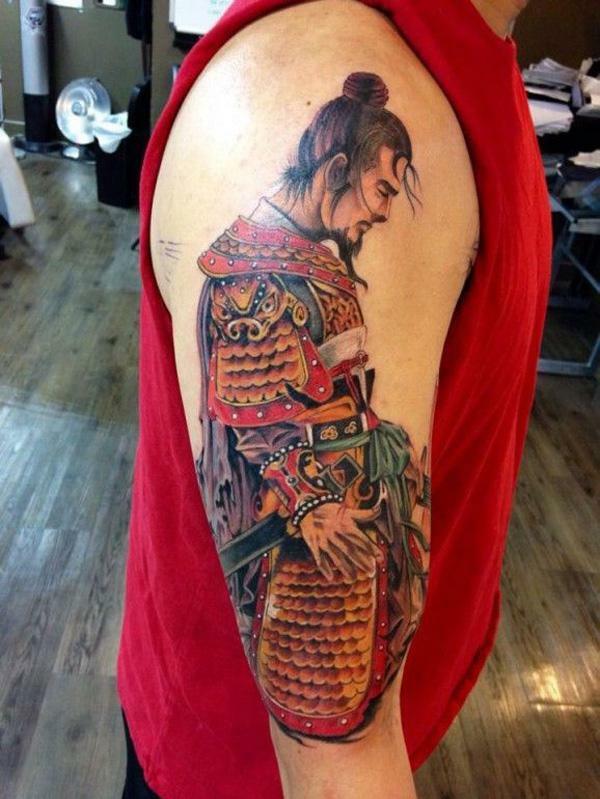 In cold weapon era, Warriors played important role in the course of history. 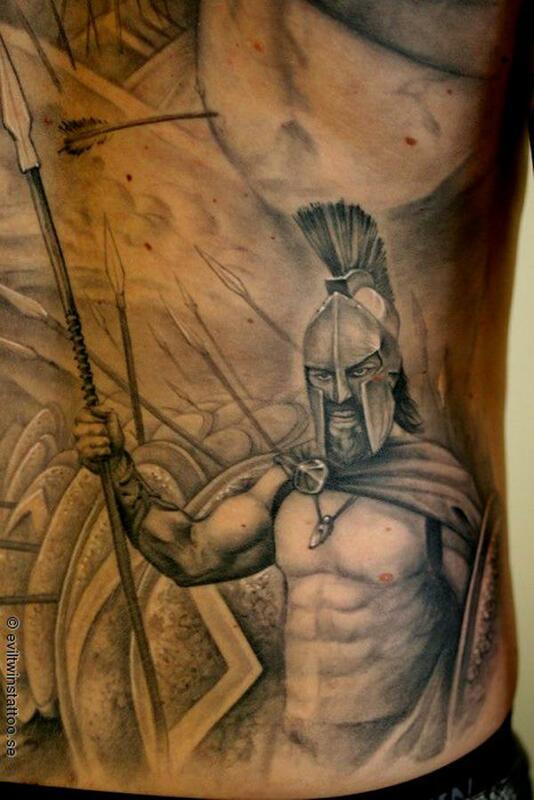 The legends of warriors and heroes keep telling the stories of bravery, vigor, courage, or aggressiveness. 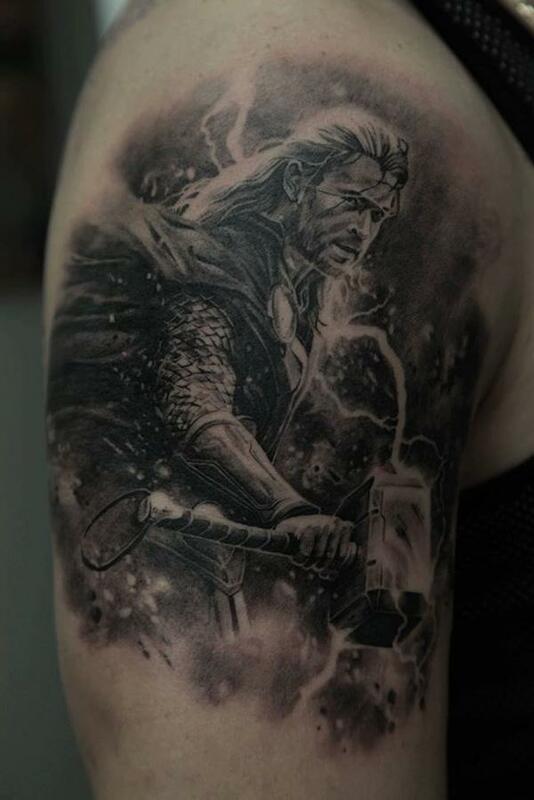 Today, the legend is continuing in the modern creations, films, vedio games and tattoos. 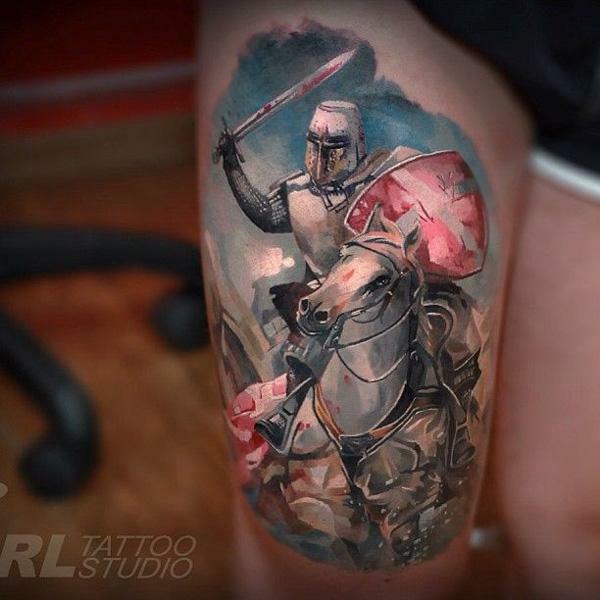 In medieval times, a knight was a man of noble birth, who served his king or lord in battle. 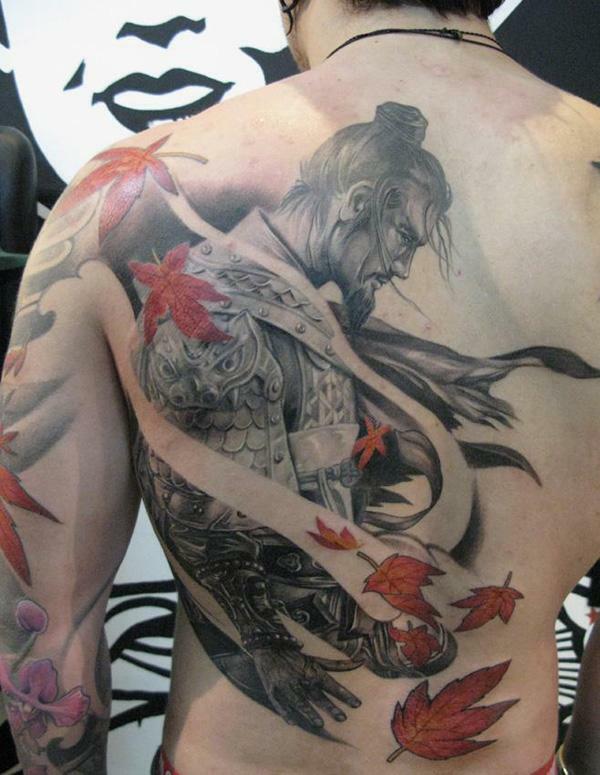 In premodern Japan, warrior represents special social class, i.e., Japanese Warriors, or samurai (or bushi). 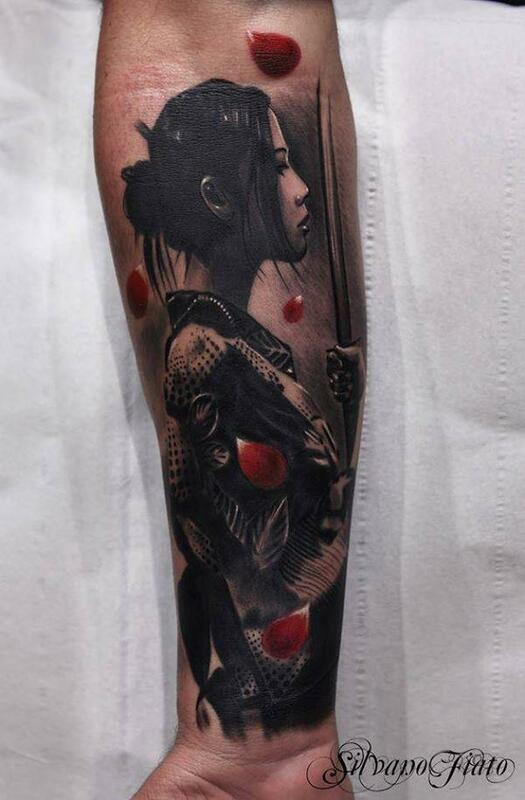 The Samurai was respected for his duty to his master, and loyalty unto death. 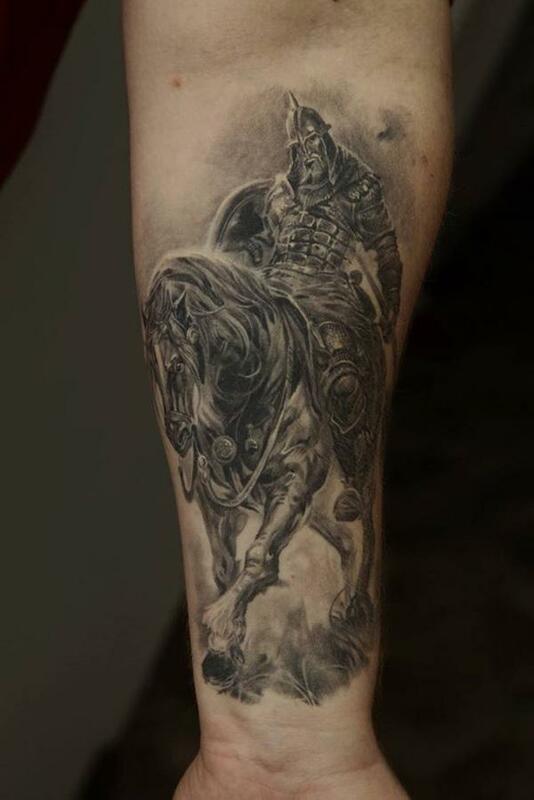 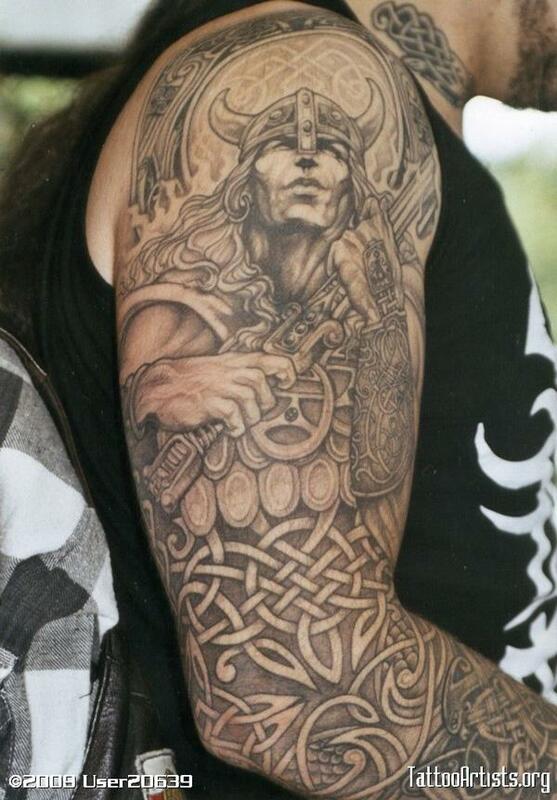 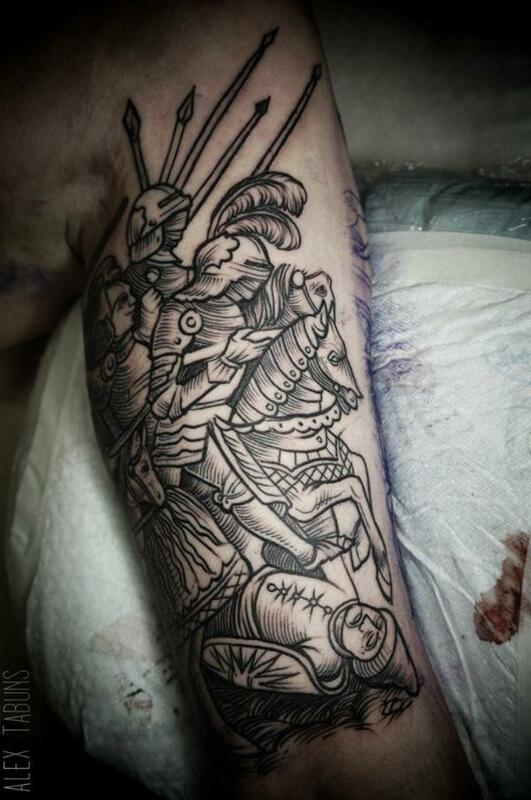 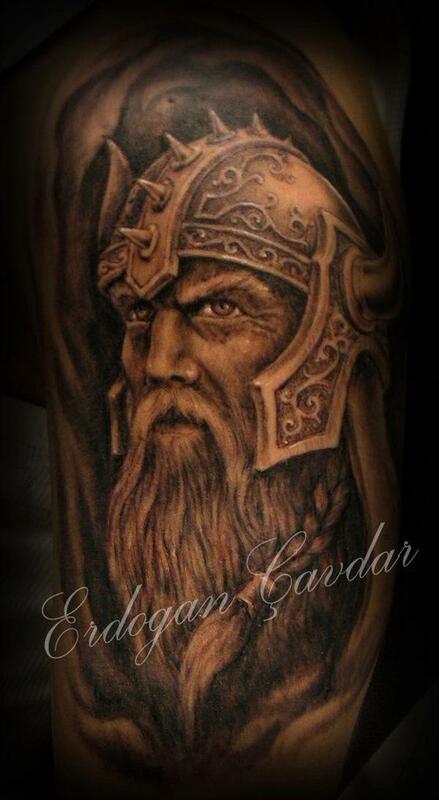 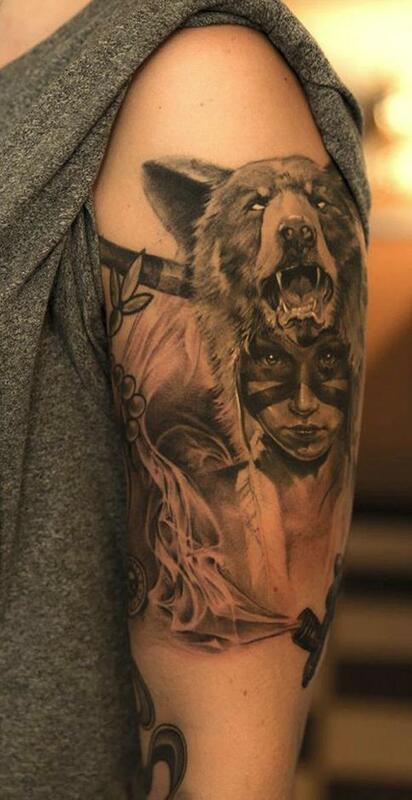 Warrior tattoos are often depicted as armored man or women with cold sword or knife on a horse or in fighting. 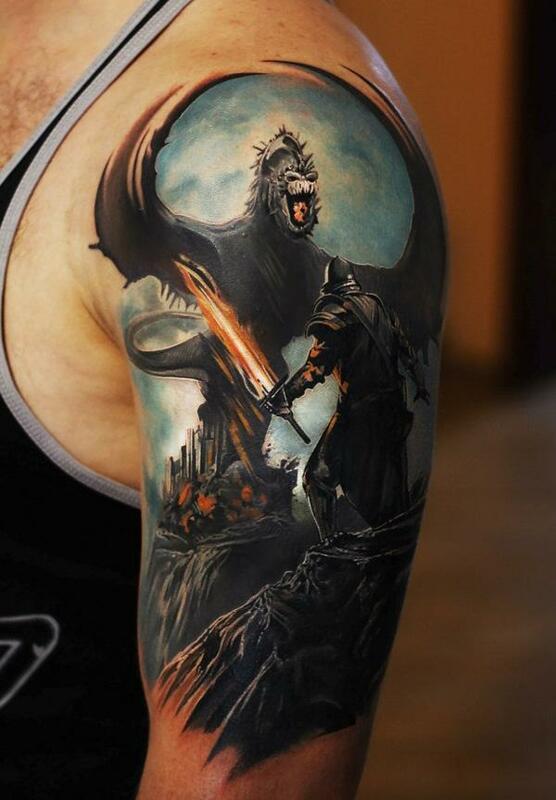 They are beautiful fantasy pictures, which inspires one’s imagination. 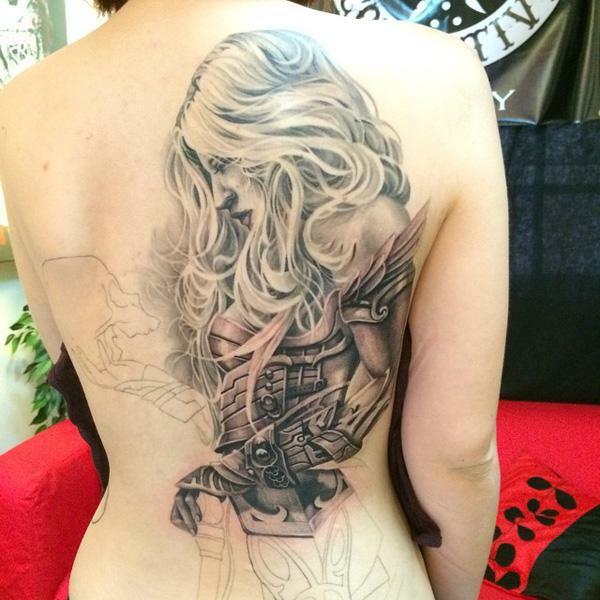 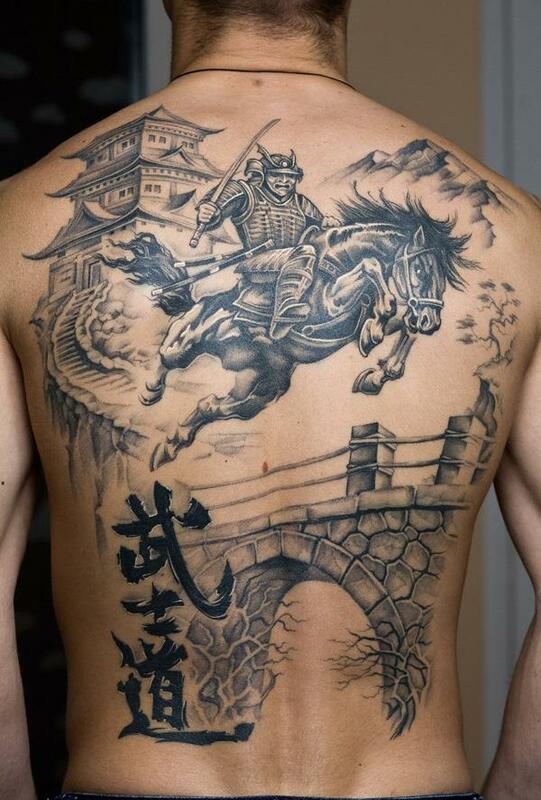 In terms of placement, most of warrior tattoos are inked on backs or sleeves. 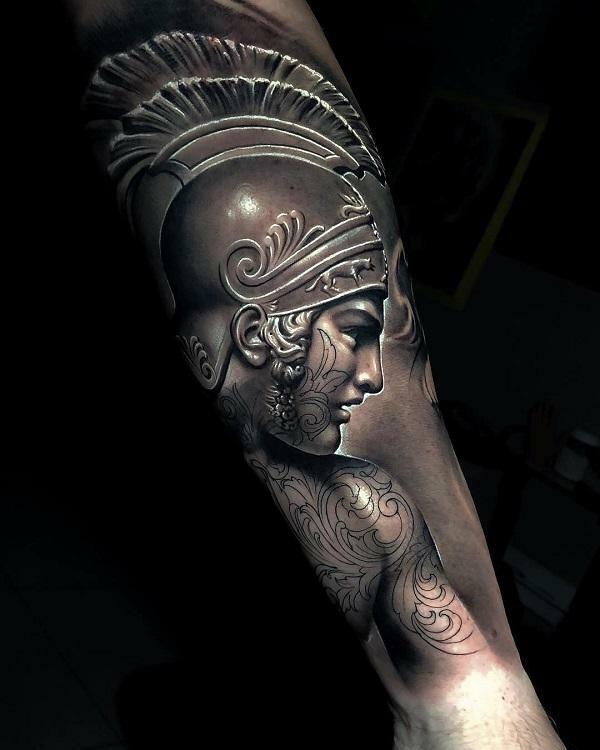 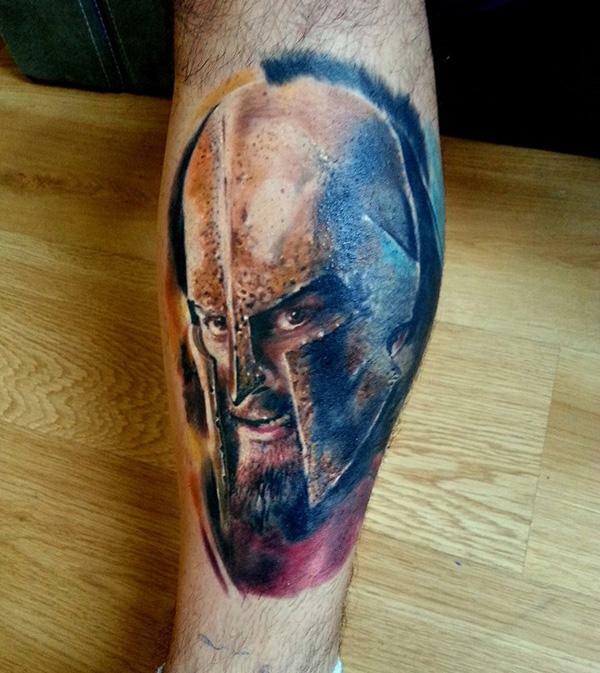 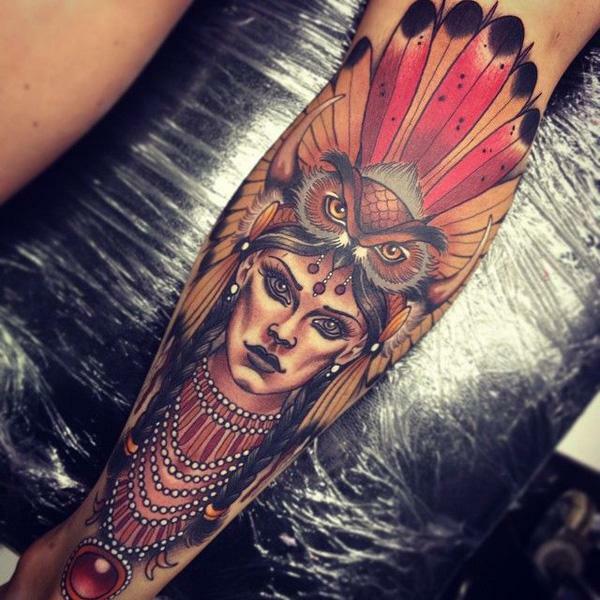 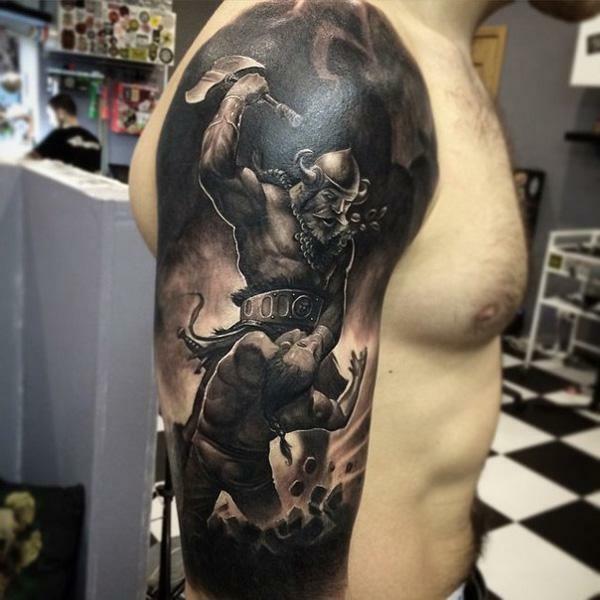 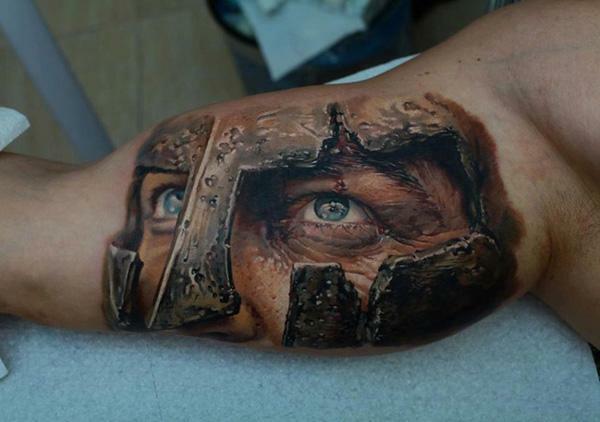 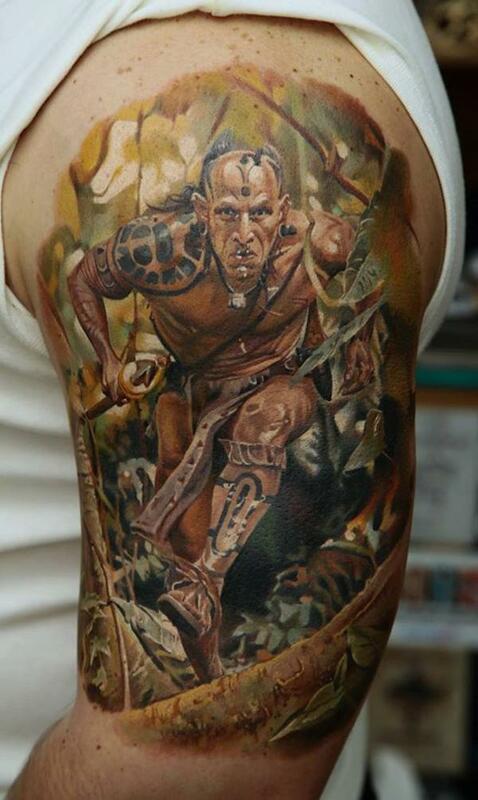 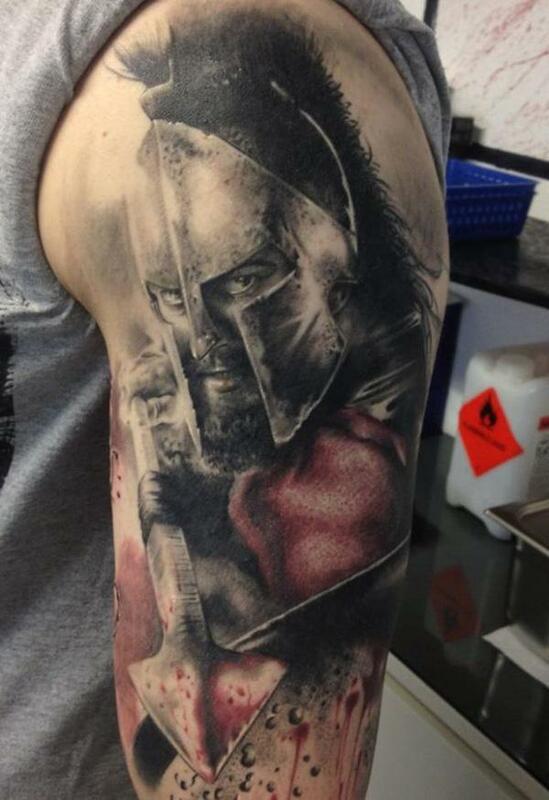 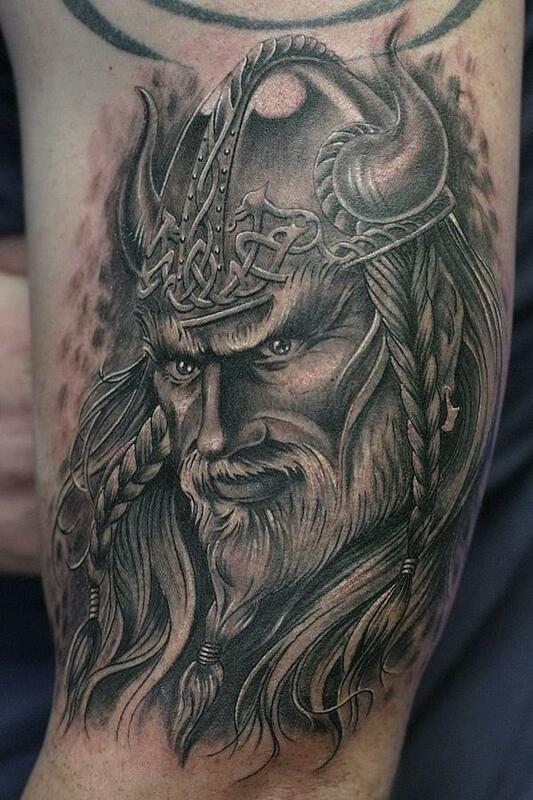 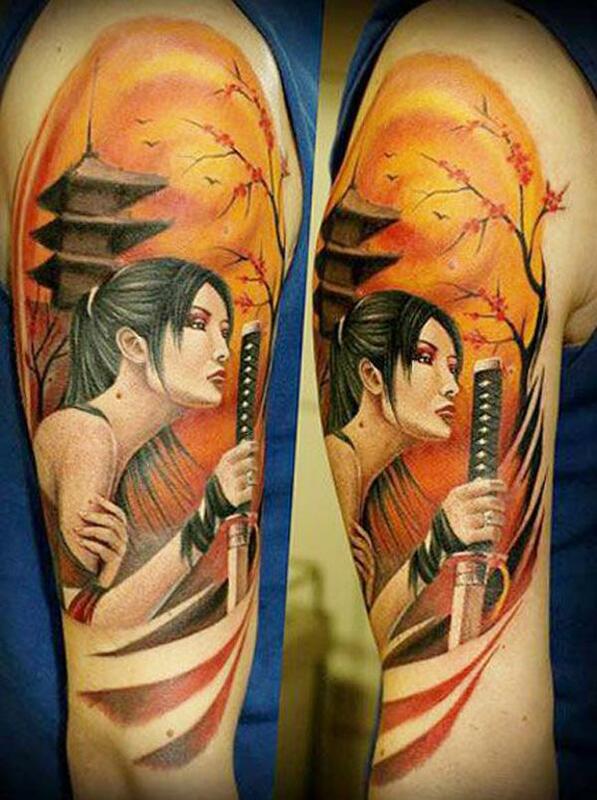 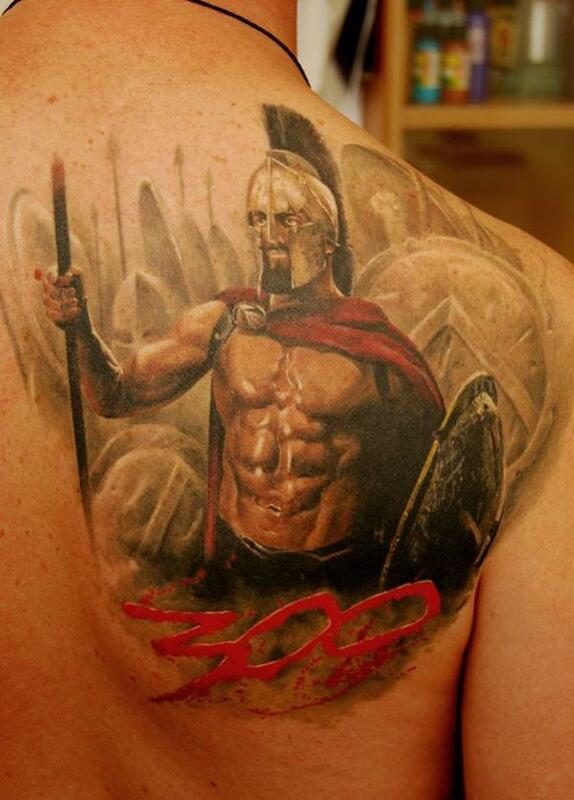 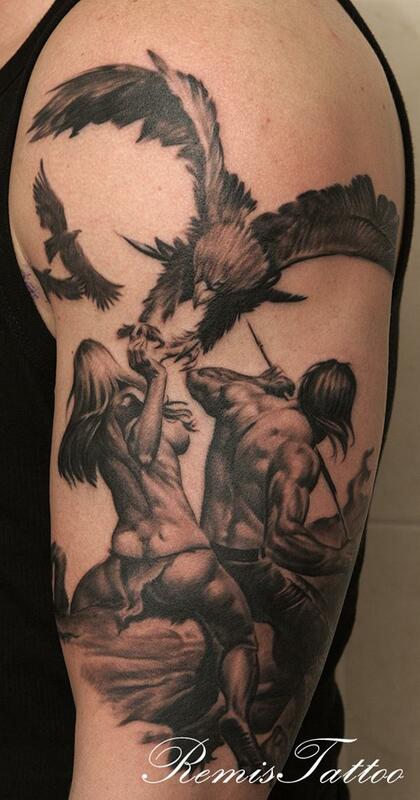 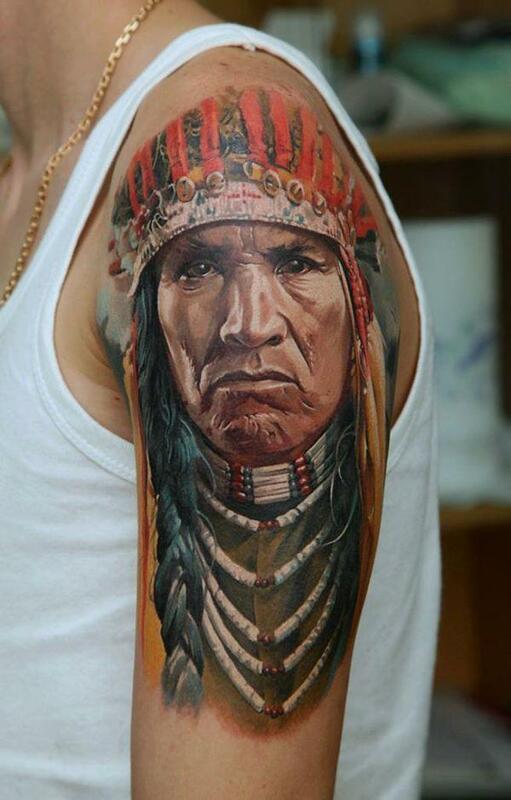 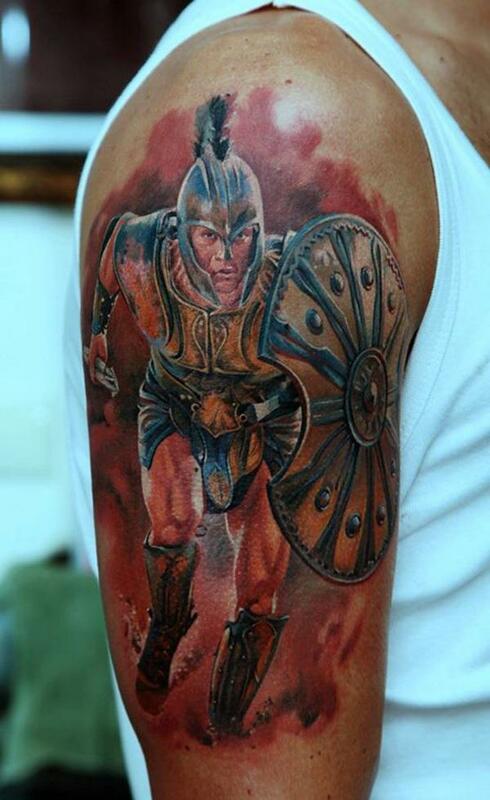 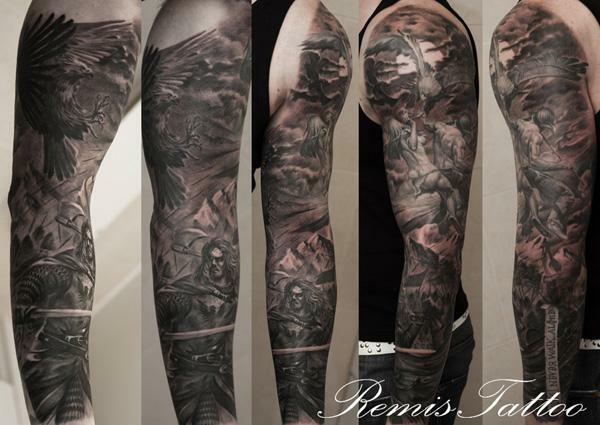 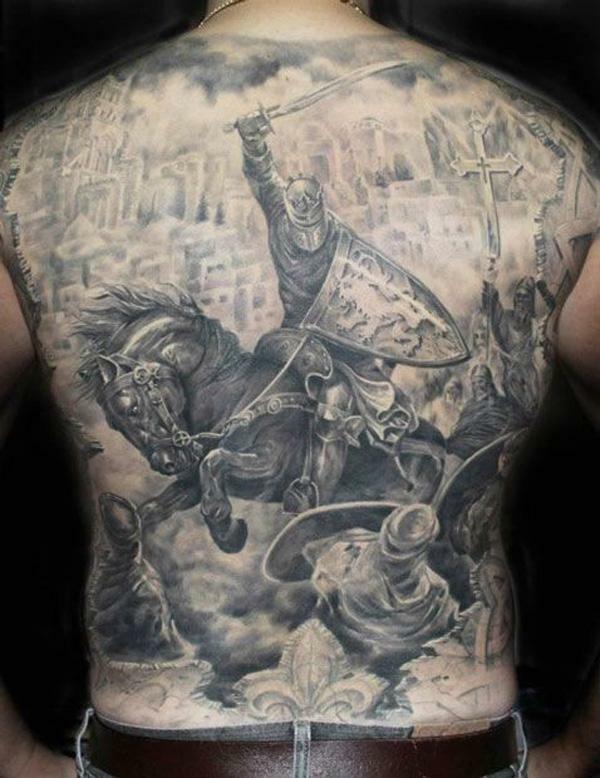 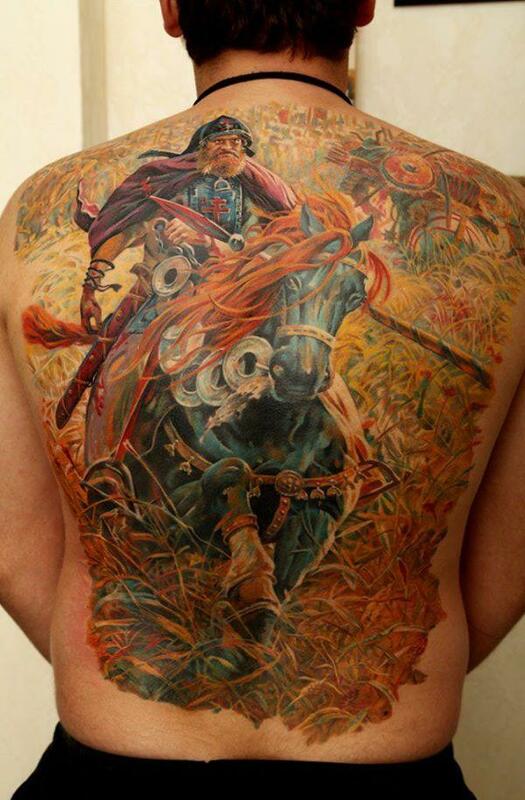 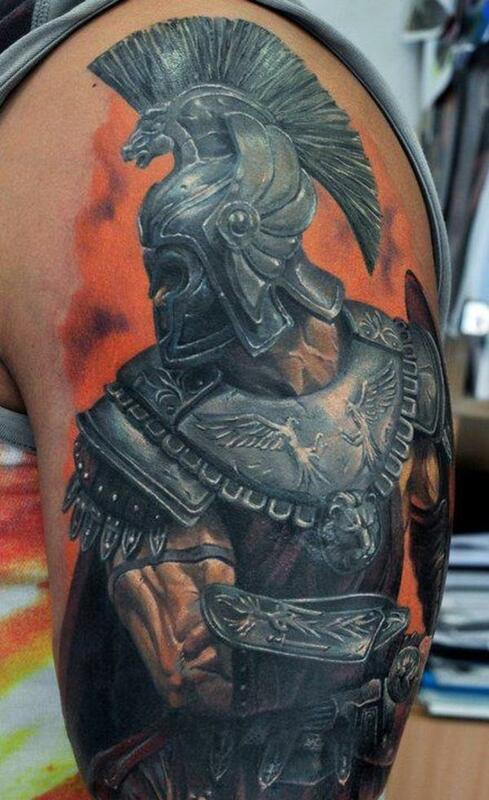 In this post, I will showcase a collection of 30 fighting warrior tattoos. 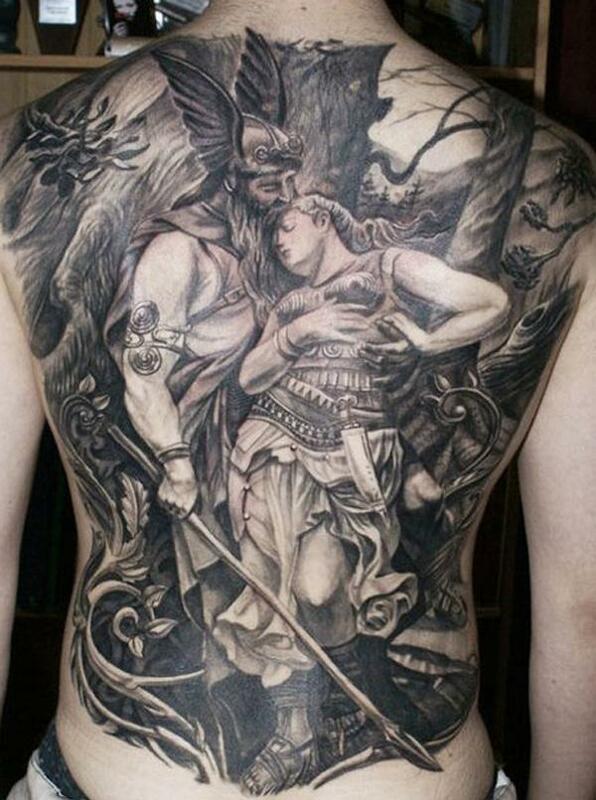 I love the tattoos as well as the stories behind these warriors.